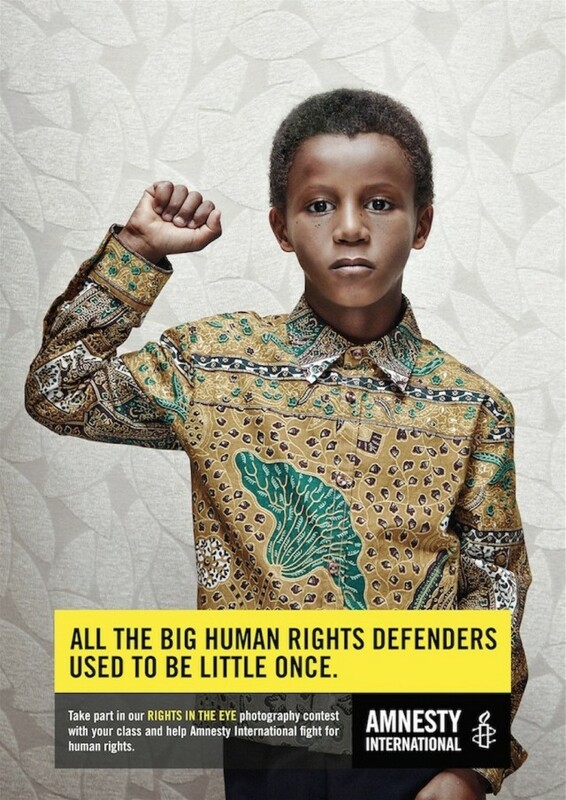 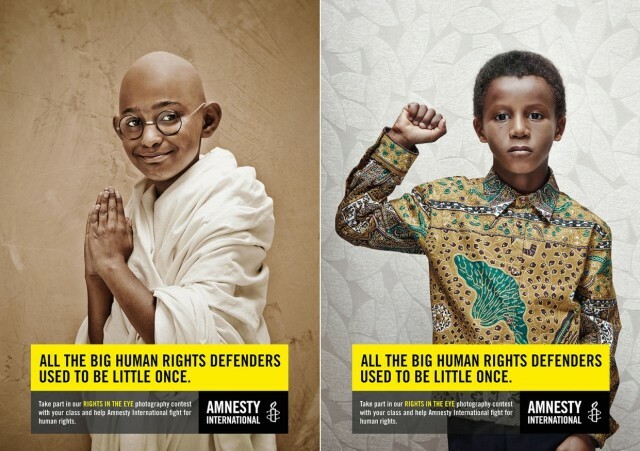 Amnesty International and agency Air Brussels have launched the Belgium print campaign “Little Fighters” from the promotion of a photo contest for school children : “Rights in the eye”. 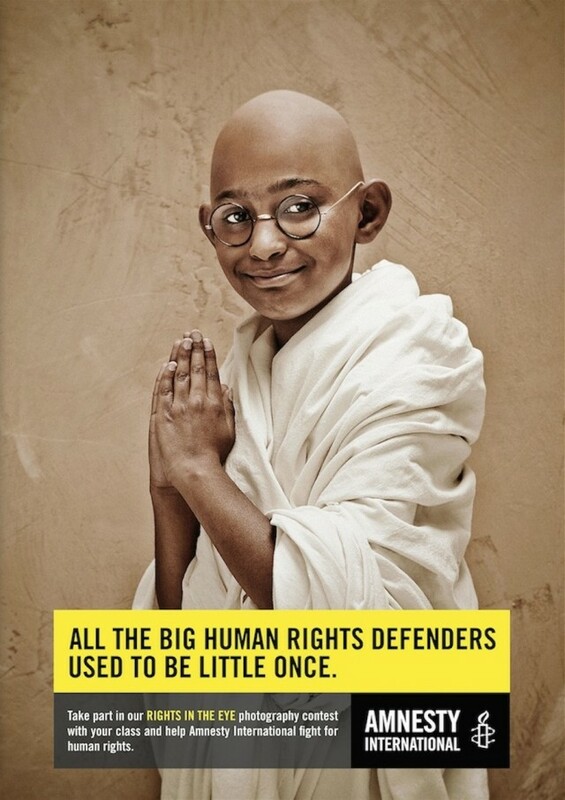 The goal of this contest was to reveal to children the Human Rights’ activists who hide in them. 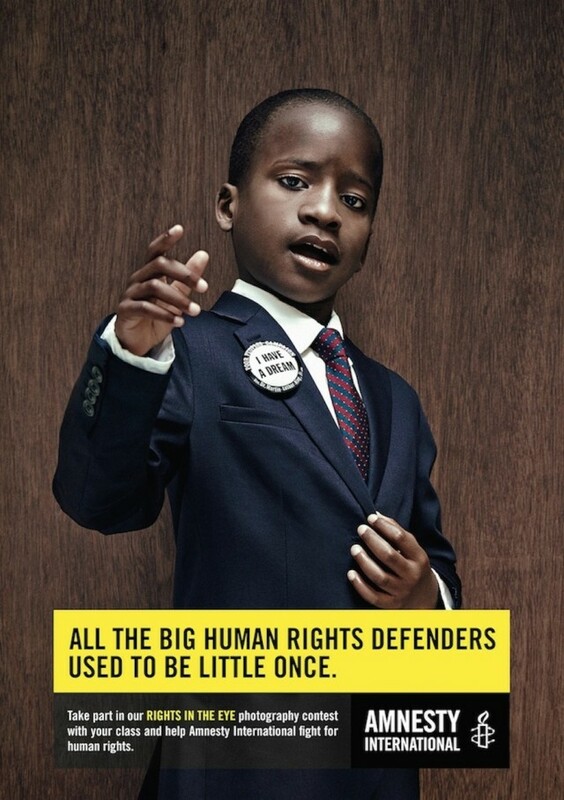 For this, photographer The Pickles captured three children portraits who play the roles of three big activists : Gandhi, Martin Luther King and Nelson Mandela.